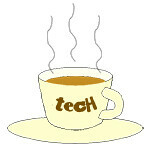 Sony Mobile « Tech bytes for tea? The flagship Xperia XZ2 and XZ2 Compact are available globally from March 2018 and both will ship with Android 8.0 Oreo. They are expected to hit Singapore shelves from April. In the meantime, consumers can register their interest here. Prices TBA. Sony Singapore brought in the new Xperia XZ2 & Xperia XZ2 Compact for a special preview before they are officially launched later on in April. I’ve always been impressed with Sony’s spirit of innovation in the design of their products. Sony is able to draw upon their in-house expertise in other related fields of business – sensors for camera imaging, displays from their Bravia TVs, quality sound from their audio products, gaming from their PlayStation, and entertainment content from their movie studio. They were the first to feature the Super Slow Motion video and 3D avatar features and now other major smartphone makers are following suit. Looking forward to their production models when the new XZ2 & XZ2 Compact hit the shelves in Singapore. The new Xperia XZ2 and Xperia XZ2 Compact flagship Android smartphones from Sony are designed for the enjoyment of entertainment on the devices. Xperia XZ2 ships with extended 5.7” HDR Full HD+ display, powerful stereo speakers, and a new Dynamic Vibration System to bring content to life. The Motion Eye camera now has world’s 1st 4K HDR Movie recording in a smartphone and Full HD 960FPS Super slow motion. The Xperia XZ2 Compact sports an extended 5” HDR Full HD+ display, Motion Eye camera experience and Sony’s AV technologies. The mid-range “dual selfie” camera smartphone will hit Singapore shelves on 26 February. The S$598 Xperia XA2 Ultra are available in Black, Blue or Gold. Sony first announced the Xperia XA2 Ultra at the Consumer Electronic Show (CES) 2018. Engineered specifically for selfies, the Xperia XA2 Ultra ships with two front cameras: a 16MP camera with Optical Image Stabilisation, and a 8MP 120° super wide-angle camera. Together with the Smart Selfie Flash, the cameras promises clear shots regardless of lighting or environment and accomodate more friends and and the surrounding into selfies. An optional accessory for the Sony Xperia XA2 Ultra is the Style Cover Stand that comes in Black or Grey. The rear camera has 23 megapixels, and a large 1/2.3” Exmor RSTM for mobile sensor that is capable of ISO 12800 sensitivity for better low-light photography. 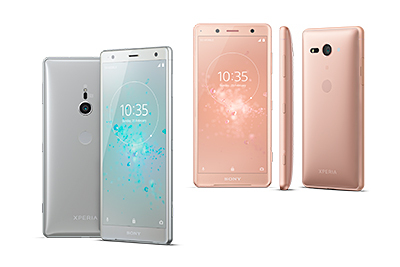 Recently announced at IFA 2017, Sony Mobile is launching the Xperia XZ1 (S$898), Xperia XZ1 Compact (S$668) & Xperia XA1 Plus (S$498) in Singapore on 7 Oct, 2017. 5.2-inch Sony Xperia XZ1 Android 8.0 Oreo smartphone. S$898, 3D scanning, 19-megapixel Motion Eye camera for predictive photos & super slow motion videos, Qualcomm Snapdragon 835 CPU, 4GB RAM, 64GB memory, front-facing stereo speakers, 2700mAh battery. 2 colours: White Silver, Black. All three Android smartphones can be pre-ordered from now to 6 October. The 5.2-inch Xperia XZ1 and 4.6-inch XperiaXZ1 Compact are top tier smartphones and will be among the first smartphones in the world to ship with Andoid 8.0 Oreo. 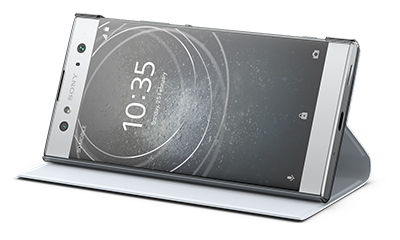 The Xperia XZ Premium remains the Xperia flagship in Sony’s smartphone product line. Media preview for the new Xperia XZ1, Xperia XZ1 Compact & Xperia XA1 Plus Android smartphones in Singapore. In the photo, Sony Mobile staff is doing a 3D scan of the model’s head using the new Xperia XZ1. The two phones will feature continue the Motion Eye camera for capturing detail and super slow motion video, as well as a new capability to capture 3D scans of faces and objects. The new store is the second store along Orchard Road in Singapore, and is located on the 3rd floor (#03-01/01A) of the popular mall Wisma Atria. Sony Store Wisma Atria is the brand’s sixth retail outlet in Singapore. The new store will showcase the latest consumer electronics from the Japanese company. Sony Store Wisma Atria will be opened to the public from 1 October 2016, from 10:30am to 9:30pm daily. These include the recently announced top-of-the-line Z9D series of BRAVIA 4K TVs, as well as the new flagship range of Signature Series High-Resolution Audio (HRA) products. 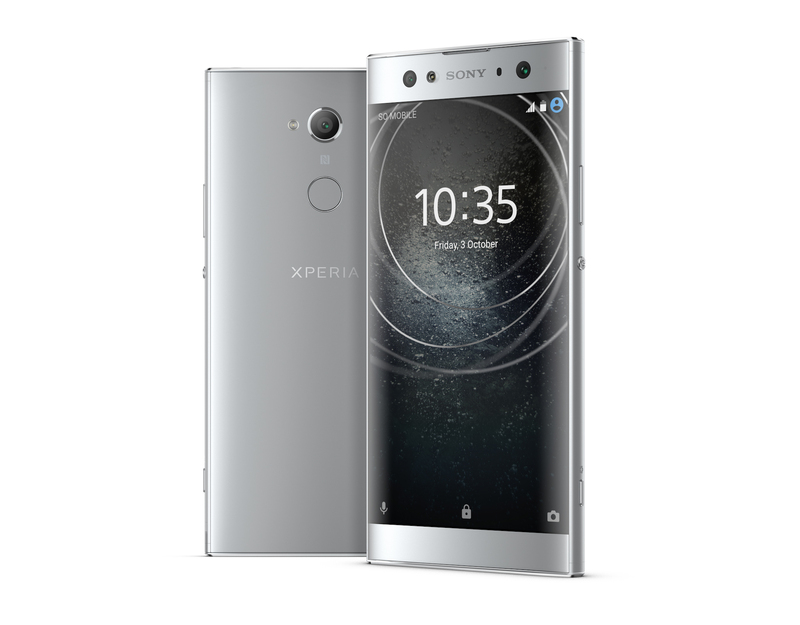 The two new models in the X series includes the flagship Xperia XZ (S$998, 5.2-inch display) as well as the petite Xperia X Compact (S$648, 4.6-inch display). 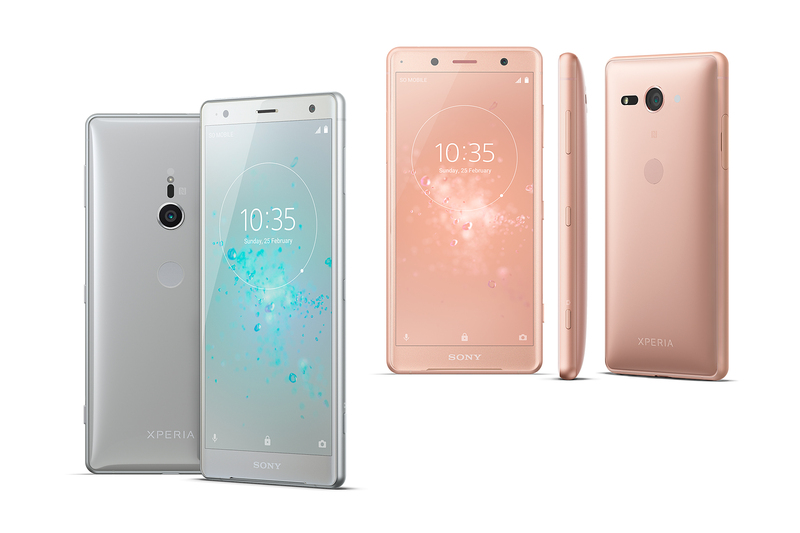 Both the Sony Xperia XZ (S$998, left) and the Sony Xperia X Compact (S$648, right) will hit Singapore shelves from 15 October, with pre-orders through Sony Stores and Sony Centres from 30 September to 7 October. Sony Mobile announced the two additions to its new X series smartphones at IFA 2016 earlier this month. The 64GB, Hybrid Dual SIM variant of the Xperia XZ will hit the shelves in Singapore island-wide at Sony Stores, Sony Centres, local telcos and authorised retailers on 15 October; and will be available in three colours – Forest Blue, stylish classics Mineral Black and Platinum. The Sony Xperia XZ flagship smartphone was launched in Singapore at the National Gallery of Singapore. The 32GB Single SIM variant of the Xperia X Compact will be available only in Sony Stores and Sony Centres from 15 October 2016; and will be available in Mist Blue, Universe Black and stylish White. Sony Mobile today announced at CES 2015 new products, partners and experiences to its evolving SmartWear range. SmartWatch 3 from Sony Mobile. Highlights include a sleek stainless steel edition of SmartWatch 3, new Lifelog collaborations, and concept wearable devices, including Sony’s Smart B-Trainer prototype – a multi-sensor, waterproof headset prototype designed for optimising performance and providing real time insight on the running track. Along with the stainless steel edition of SmartWatch 3, Sony also unveiled a new SmartWatch 3 holder, allowing users and partners alike to customise the SmartWatch 3 with any standard 24mm watch strap. Golfshot and iFit are two developers already creating Android Wear experiences with SmartWatch 3’s standalone capability, for both performance on the course and track respectively. Reflecting Sony’s strategy to bring new functionality and features to Lifelog, users can now access the application through their browser at lifelog.sonymobile.com. Sony has expanded its lens-style cameras with the new ILCE-QX1 and DSC-QX30 during a pre-IFA event in Berlin, Germany. The Japanese camera maker also added two fresh new colour options for the DSC-QX10. Available in Singapore from October 2014. The new lens-style cameras from Sony: ILCE-QX1 (right) and DSC-QX30 (left). Sony’s lens-style cameras combine the spontaneity and easy sharing of smartphones with the image quality of dedicated cameras. These cameras are connected to the smartphone via Wi-Fi. The ILCE-QX1 lets serious photographers make use of their E-mount / A-mount (requires LA-EA4 adaptor for A-mount lenses) lens collection – be it zoom, wide angle, tele or macro. QX1 comes with built-in pop-up flash. Users can exercise control over exposure, focus and shooting modes. The camera’s APS-C size Exmor CMOS sensor has 20.1-megapixels works with Sony’s BIONZ X processor that now features improved area-specific noise reduction – producing low-noise images, even when shooting in near-darkness. The big sensor inside the QX1 also creates pro-style ‘bokeh’ effects with creamy background blur – another trick that smartphones can’t match. The QX1 comes with many features, including RAW recording and pop-up flash. Sony has just announced at IFA 2014 the mid-range Xperia E3 smartphone; Xperia Z3, Z3 Compact phablets & Z3 Tablet Compact tablet; as well as its new SmartWear gadgets – SmartBand Talk and SmartWatch 3. The slew of products announced during IFA 2014 were showcased at the Xperia Z3 SEA launch event in Singapore. Local pricing and availability below. $998 Pre-order on week of 22 September 2014. S$TBA Price and availability to be announced closer to launch date. The Sony Xperia Z3 series and SmartWear devices. (The Xperia E3 is not shown above – see below). Sony has rolled out a slew of new gadgets – from premium flagships to novel SmartWear devices, whilst keeping an eye on the budget conscious mid-range. All three new members of the Xperia Z3 series run on the Qualcomm Snapdragon 801 processor with 2.5 GHz quad-core CPUs and 3G RAM, with fully integrated Qualcomm Adreno 330 GPU. The Xperia Z3 is 7.3mm thick and is available in white, black, copper or silver green. The Xperia Z3 Compact is 8.6mm thick and weighs 129g, and is available in orange, green, white or black. The Xperia Z3 Tablet Compact (not shown here) is available in white or black. The Xperia Z3 flagship phablet comes only six months after its Xperia Z2 predecessor. The screen is of similar size to the Z2 at 5.2 inches, but the Z3 is smaller, thinner and lighter. Together with the Xperia Z3 Compact, the Z3 has a 20.7-megapixel camera with 1/2.3-inch “Exmor RS for mobile” image sensor, new 25mm “G Lens” and ISO 12800 sensitivity. A dual SIM variant is also on offer in select markets. The Xperia Z3 Compact phablet is a smaller version of the Xperia Z3 but with the same CPU and graphics chip. It is a replacement for the Xperia Z1 Compact. Its 4.6-inch screen is larger than the 4.3 inches in the Z1 Compact. Sony claims that the Xperia Z3 Tablet Compact tablet is the world’s slimmest and lightest compact tablet, at 6.4mm thick and 270g weight. It features an 8-inch Full HD TRILUMINOS. The Xperia E3 sports a 4.5-inch 480 x 854 IPS display, a Qualcomm Snapdragon 400 quad-core 1.2GHz processor, and Adreno 305 graphics, with 1GB of RAM, and 4GB of internal storage. The large Android Xperia T2 Ultra (S$598) and Xperia T2 Ultra dual (S$548) phablets sport large 6-inch HD （720×1280) displays and is now available in Singapore from Sony Stores and Sony Centres. Both phablets ship with Android 4.3 (Jelly Bean) and runs on a Snapdragon Quad-core 1.4 GHz processor with 1GB of RAM and 8GB of on board storage, with a Micro SD slot expandable up to 32GB.